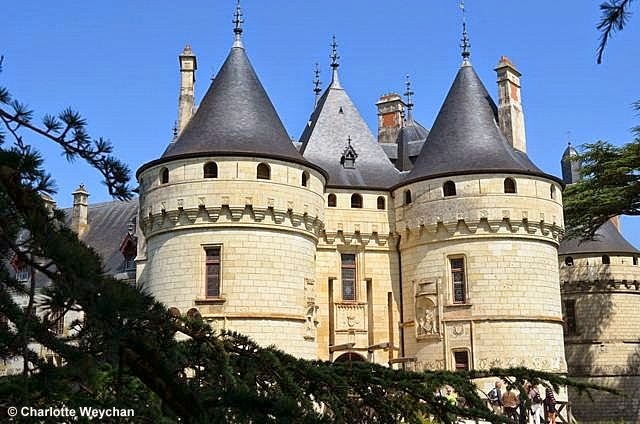 What better setting for a garden festival than a fairy-tale castle in the Loire Valley, between the popular towns of Blois and Tours, that was once home to Queen Catherine de Medici? Chateau de Chaumont, perched in an enviable position overlooking the River Loire below, is one of the most picturesque chateaux in the region, attracting some 400,000 visitors a year and is also home to the increasingly popular annual International Gardens Festival, now in its 23rd year. It is located at the heart of the Val de Loire, which has been recognised as a UNESCO world heritage site since 2000. 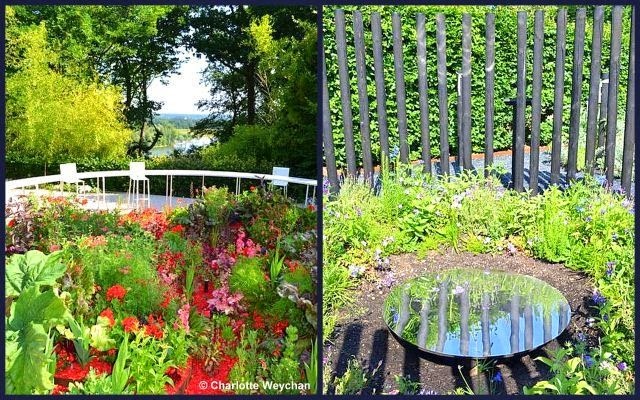 Chaumont is to France what RHS Chelsea is to the British garden lover and is fast growing in stature and reputation. But what makes this garden show unique is that each year has a theme – with 2014 being the year for ‘Gardens of the Deadly Sins’. 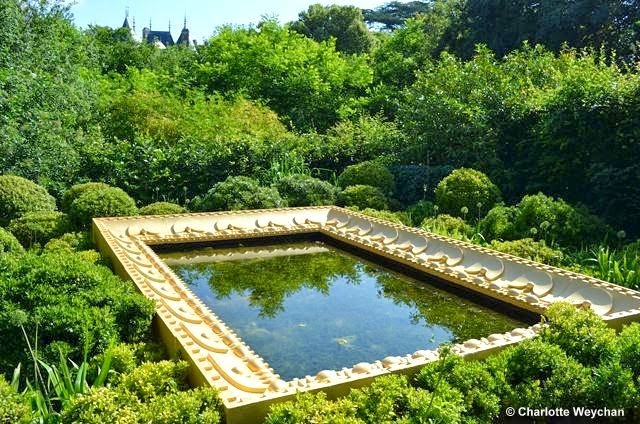 Add to this the fact that Chaumont is no pop-up show, where the exhibits are only in the public eye for less than a week and you have a considerable challenge for those taking part, because the 26 show gardens here are on display from the beginning of May to the end of October. 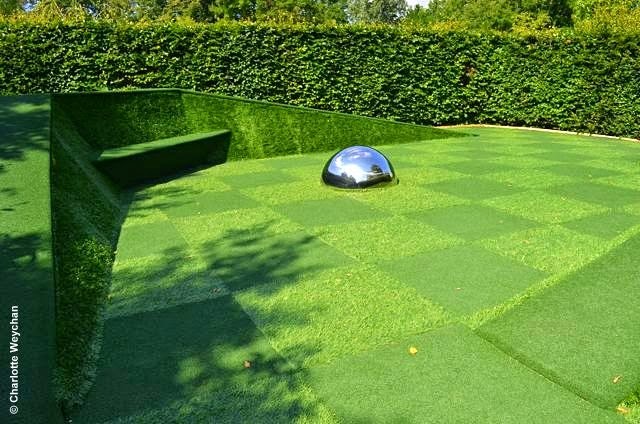 The International Garden Festival at Chaumont is all about conceptual gardens and this year’s theme gives exhibitors the opportunity to exercise the possibilities raised by the seven sins of avarice, lust, gluttony, envy, pride, lust, sloth and wrath, using plants and hard landscaping to make their point. 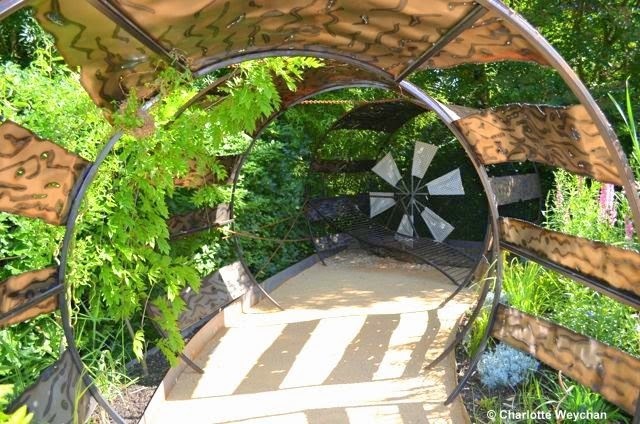 As with any garden show there are gardens that work better than others, but the emphasis here is on the unusual, rather than on plant combinations. But this does make for a striking lack of colour in the gardens, as the photographs here show. 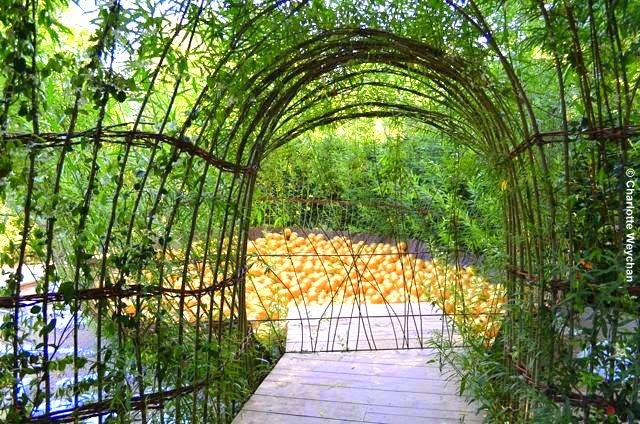 Expect to find quirky objects alongside more traditional planting here and you will find yourself on a voyage of discovery, drawn into each and every garden. This show is not just about garden and landscape designers, but also has exhibits by architects, artists and writers. 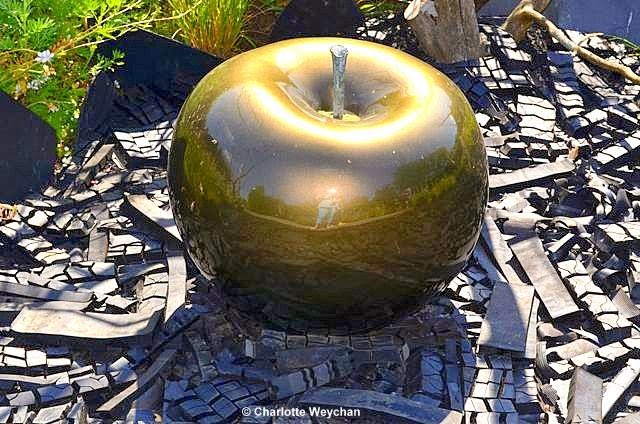 Part of the attraction of the Chaumont Garden Festival is that it is filled with new concepts and ideas every year. It was here in the early 1990s that botanist Patrick Blanc first launched his vertical planted walls. Although the majority of show gardens are French, there are also exhibits from England, Italy, the Netherlands, Russia and the USA. Bloom (far left) is designed to test the senses and underlines the sins of gluttony and greed by using a predominantly red theme, while Purgatorium (left), designed by two landscapers and an artist from the USA, is based on the garden of Thomas of Aquinas, who first conceived the idea of the deadly sins in the 13th century, and features a large confessional at its centre, constructed of black wooden posts, reflected in a mirror. Part of the charm of the Chaumont Garden Festival is being able to wander through the gardens at leisure. You're not restrained by ropes or chains here and can actually engage with the exhibits. And whilst this obviously presents some major challenges for the exhibitors given the length of time the gardens are on show, all those I saw this week (two months into the festival), were looking well preserved and perky, despite soaring summer temperatures and increasing numbers of visitors as more tourists flock to the Loire Valley in high season. The chateau is a major tourist attraction and the knock-on effect for the Festival shouldn't be under-estimated. 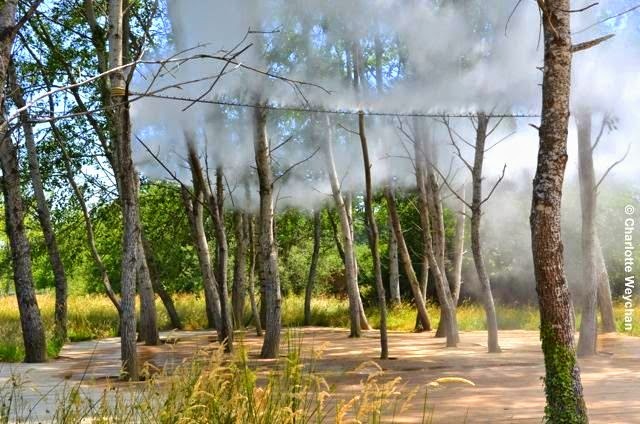 The International Garden Festival is just part of what's on show at Chaumont - visitors can also tour the castle and gardens, which include an impressive potager and extensive parkland overlooking the Loire, together with a new area of parkland, which features several major art installations, including Fujiko Nakaya's mist sculpture (below). Entrance to all parts of Chaumont - the castle, grounds and Festival is 16 Euros for adults, 11 Euros for 12-18 year olds and 5.50 Euros for children aged 6-11. This is one of the best-value castles in the Loire region as you will see from the reviews that follow in the next few weeks. Definitely one for the "Wish List" and worth making a detour for.